What my friends did for me was provide wise counsel that could help draw out the purposes of my heart. My counsel could probe and poke until the point of frustration but in the end I was so glad she did. She knew when to push towards the edge and when to pull me towards her in a hug. She was a woman of understanding. There are people out there like that who can minister, encourage and ministered to you in all areas of your life. But the first step is you reaching out. Motivational speaker, Jim Rohn, once said, “You are the average of the five people you spend the most time with.” I have been so blessed to spend time with some amazing people…Kingdom shakers and God seekers. They have spoken life into me that included correction, rebukes and encouragement. One friend can just give me a look across the room and I know that I need to tone it down. Others can cause me to slow down and enjoy life and not strive so hard for the next task. I learned early on that if I don’t like who I am then I need to change who I hang around with. What about you? Do you have any sweet friendships? If so, treasure them, tell them how much they mean to you and be a friend like them. If not, seek out new friends and be willing to be change. Does it take effort? Absolutely!!! But doesn’t anything of value? I have heard and I have even said, “Well, this doesn’t hurt anyone but me” but that is not true at all. As the proverb says, if I am messing with fire and it gets too close to me, my clothes are going to get burned. Every decision, every action, every step will set into motion a ripple that will impact those in my path – for good or for bad. I can make the decision to be nice to the cashier as I am checking out and it will impact those behind, the cashier and even myself. Or I can choose to ignore the cashier, make no attempt to be kind, and the cashier will feel the rejection and I will walk away unchanged (at the minimum.) Or even worse I could be rude to the cashier – even if I am justified because of her lack of skills – and that will burn further than I could imagine. I will be in a bad mood, the people behind me will be impacted and the cashier may go home and take it out on her family. All because of a decision I made. It does hurt others. May walk in steps and make decisions that will not burn those around us. Proverbs 30:4 Who has ascended to heaven and come down? Who has gathered the wind in His fists? Who has wrapped up the waters in a garment? Who has established all the ends of the earth? What is His Name, and what is His Son's Name? Surely you know! This past Sunday at church, my pastor, Landon Dowden, taught through Romans 12:3-8 and the biggest takeaway for me was to have right thinking about myself – not thinking too much about myself and not thinking too highly about myself but just right. One way to do that is to have right thinking about God. This proverb sure does nail it for me. When I realize who He is and all He can and does do AND that He died for my sins and loves me more than I even know, I can have right thinking about myself. Not self-esteem but God-esteem. Not self-confidence but God-fidence. My prayer is that we can walk in that assurance today. One of the first Christian principle I learned was the exchanged life based on Galatians 2:20. Bottom line, I have exchanged my dead body for Jesus’ alive body. Because of that, my old self has no rights, but my new self has the riches of heaven. One way my old self will rise up is in the area of justice and making things right. That is not my job. This proverb tells us that the liar will not go unpunished and his lies will cause him to perish. I need to die to myself and my desire to distribute justice on my timetable and trust that in due season, this proverb will be fulfilled. Many times, I fail but when I do trust in the Holy Spirit and not myself, the truth comes out. May I have the patience and the faith to keep in my lane and trust the Judge to do His work. In 2005, I had the honor of spending a weekend with 50 or so amazing women. One of those women was Vonette Bright, co-founder along with her husband, Bill, of Cru (formerly Campus Crusade for Christ.) At one point in the weekend, I asked her, “How can I pray for you?” Her immediate response was, “Please ask the Lord for continued favor.” Since that time, it has been my #1 prayer request as well. When we have favor, life just seems to go easier. Not all problems are taken away, but the challenges of life are reduced. May we all live lives that prompt the Lord to bestow favor upon us with Him as well as those we encounter along the way. As one who has the gift of persuasion, I have to be ever mindful of this verse. Is what I am saying truth or just flattery? Am I just buttering someone up to get what I want but do I truly believe what I am saying? May my lips be used to edify and encourage others and at times speak truth in love but never used for manipulation. Whenever I read this proverb, I think of baseball pitching legends, Roger Clemens and Andy Petitte. Both men were accused of using Human Growth hormones (HGH) during their time as Major League players. Petitte confessed that it was true and though his name was sullied just a bit he continued on without much fanfare. Meanwhile, Clemens denied it and ended up going to trial on perjury charges which lasted 10 weeks. In the end he was found not guilty but there is still a cloud around his name and the supposed use of the HGH. Regardless of whether or not Clemens used HGH, I see the value of just confessing my transgressions and deal with the fallout. I have learned that owning up to it is better than deflecting or denying. In the Bible, the king represents the authority in your life. In this proverb, the writer is saying that God controls the heart of your authority and He does it in the same way He turns a river. A river is turned through time and pressure. 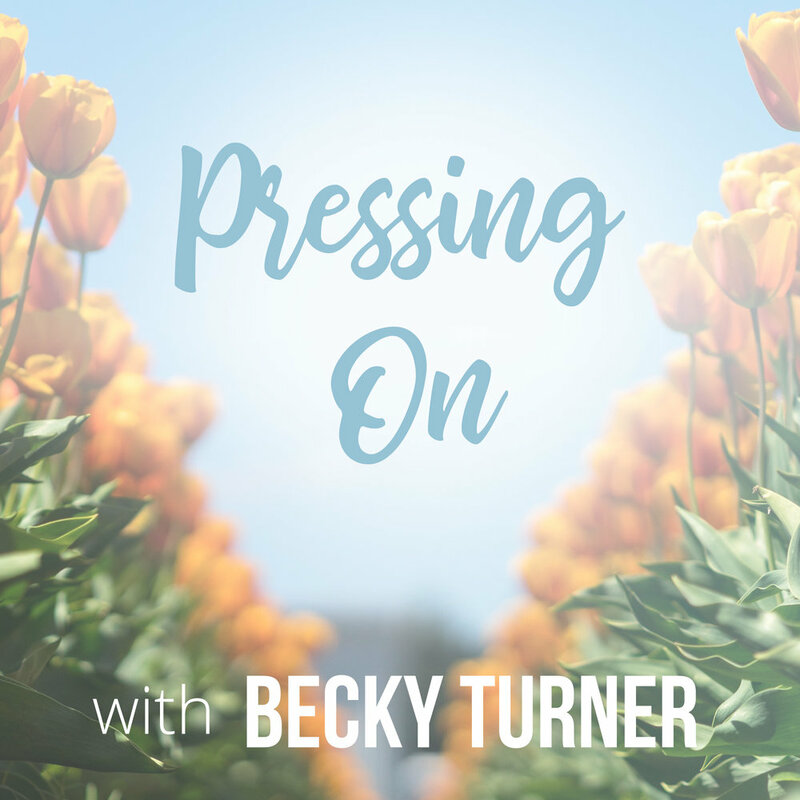 Often, I will say, “God, give me the time and I will put on the pressure.” But usually His response back is, “You give Me the time and I will put on the pressure.” This is always the wiser course. I probably quote this verse at least once a week. When relationship difficulties happen, or the challenges of ministry occur, or the hassles of traffic frustrate me, this verse (if I am being Spirit led and not fleshly led) will pop into my mind. I wouldn’t have any difficulties if I did not have people in my life that I loved and cared for and whom feel the same way about me. Ministry challenges would disappear if I didn’t have any ministry. Traffic would not be frustrating if I didn’t have a car or a place to go. No oxen, no problems but the oxen are what brings in the crop. We sometimes have to deal with the manure to get to abundance. Last month, I heard a definition for insight that was well, rather insightful. Insight is information that is beyond the obvious. As I read this verse, I immediately thought of that definition. What a blessing it is when we go to our trusted advisors and tell them our problem and they are able to clearly communicate a solution that we never even considered. This is insight. 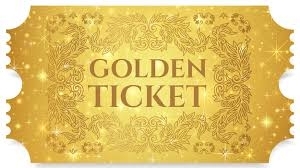 I call these moments “golden ticket” moments and they sometimes happen not even when you are seeking advice. We are in a meeting talking about business and someone says something that is exactly what we need to hear concerning an issue at home. We are listening to a podcast on one topic and the teacher casually mentions something and the proverbial light bulb goes off and you can apply it to a totally different situation. May we strive to be people with golden tickets for others. There is a good chance that despite it just being Halloween, the Christmas decorations are out at the store and the sales circulars are already arriving in the mail. And if we are not careful, the commercialism may just take over the true meaning of the season. Jesus came in the first advent because we all were poor…poor in spirit. We were lost and needed a Savior. I am so glad He saw my need and chose to meet it. Several years back I learned about theAdvent Conspiracyand its mission to celebrate Christmas more humbly, beautifully and generously. In 2016, thisvideoreally grabbed my heart. (Note: the number is now $600B.) Check it out and let’s start today making sure we keep our hearts in tuned to the first Advent and our poverty apart from Christ. And may I be the first in 2018 to wish you Merry Christmas! In this proverb God does not say, “I will rescue them, or I will hold back those who are stumbling.” He expects us to do it. Now we know that we can only do anything for Christ through the power of the Holy Spirit but we are the hands and feet that actually do the work. Today, look around you and see what work you need to be doing for Him. Seek His face to find out what work He planned for you before the foundations of the earth and then go about doing it. You are in this generation and at your specific geographic location for a reason. Take full advantage of it! The refining of silver or gold requires an extremely hot fire (around 2,000 degrees Fahrenheit), a craftsman willing to skimming the dross off the top and a rock of silver or gold. In this proverb, it says that the Lord does the same thing to test our hearts. We are the rock, God Himself is the Craftsman and the circumstance of life is the fire. Challenges come – God is cranking up the furnace. How many impurities will rise to the top? Impurities like unbelief, despair or anger. If success comes (and it can still be the turning up of the heat,) impurities like pride, self-reliance and greed can surface. May we be sensitive to the heat around us and be willing to allow the impurities to come and when they do, we will allow the Craftsman to skim them off. As most of you know, food is my “go to” for just about anything. If I am sad, chips will fix that. If I am happy, let’s have ice cream. If I am depressed, a run to Waffle House will be happening soon. If I am bored, buttered popcorn will entertain me. However, most of the time it is not my body that is hungry for food but rather my soul is hungry for love, comfort or hope. And I have found that if I stop…identify where my true hunger is coming from and then turn to the Lord, He has ALWAYS feed me and my soul will be sated. He is the Bread of Life. The Greatest of These is Love? It wasn’t until recently that I really let that sink it. It is more important to love then to be right. It is more important to love then to be selected. It is more important to love then to change another’s mind. It is more important to love than to give one hope…especially false hope. It is ALWAYS more important to love. May we be people of love! If there is smoke, there is a fire. If there is trouble, there is a root. I do not believe in karma or luck or coincidence. I believe in a Sovereign God Who is actively involved in the affairs of men and that “things” don’t just happen. There is a cause and a purpose behind it. How I try to play this out in my life is when difficulties come, I seek to know what I can learn from these challenges. Or if it is something that is “on repeat” (i.e. I continually have to apologize for doing the same thing over and over,) I dig a little deeper to try and find the hurt, wound or lie that I am believing that is causing me to respond as I do. Unfortunately, there are times that instead of doing the deep work to get to the cause, I will just cover up the symptoms with food or sleep or busyness. (I am so grateful that heroin is not my drug of choice.) In the end, this only hurts myself. May we be willing to do the hard work and find those causes and come out victorious on the other side. One of the highest compliments I ever received was by spiritual mentor who said I was a person of integrity. My definition of integrity includes not only doing the right thing but your yes being a yes and your no being a no. Has this made me “poorer”? For sure. Things like being way undercharged for a map book because the rookie cashier (nor I) could not find the price but when I found it later at home, going back and paying the difference. Financial costs. Making plans to help someone and then getting invited to something that would be more fun and not cancelling on them. Social cost. Saying you will have a project done by Friday and meeting deadlines. Time cost. But I would rather be poor in these areas and have integrity then be a fool and rich. May I always take the “high” road and not the cheap one. What about you? Does your talk match your walk? People have asked me, “You have never married, how can you offer marriage advise?” My usual answer is, “Because I have read the Bible.” The advice the Bible gives is not easy, but it can be trusted to be fruitful and effective. A wife can be a source of blessing and honor for her husband or misery all the way down into his bones. The saying, “If mama ain’t happy, no one is happy” is a cliché but in many cases, it is true. The “temperature” of the home is often controlled by the woman of the house and I am not talking about the AC thermostat. Ladies, will you be a blessing to your husband or freeze everyone out because you don’t get your way? You have the choice.